The holiday season is long gone and the winter blues have officially set in. 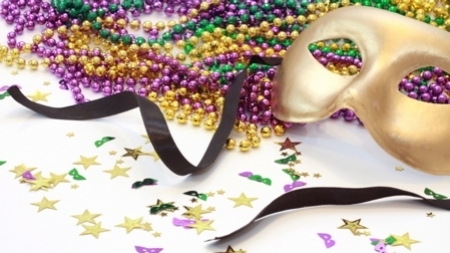 Instead of sitting around anxiously waiting for spring, throw down like you’re in the Big Easy and host a killer Mardi Gras party. 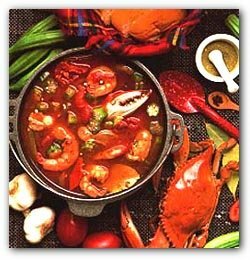 Folks in New Orleans party for two months, beginning January 6 thru Fat Tuesday or Mardi Gras day, which falls on March 5. All of this leading up to Lent, the season of reflection and restriction. While two months of partying and indulgence is only a fantasy for most of us, this easy-to-follow guide will help pack all the Carnival season fun into one day! 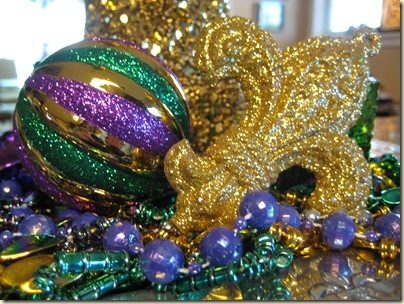 Decorate your space with classic Mardi Gras colors of Green, Purple, and Gold. Use balloons, streamers, and crêpe paper to cover walls and surfaces. Try to replicate the feeling of Mardi Gras floats. If you have a stairwell leading up to your apartment hang some decorations leading up to your door. Create some excitement for your guests as they make their assent. Pump classic New Orleans brass band music, called Zydeco, into the room. Have plenty of Mardi Gras beads on hand. Deck your guests out in them as they come thru the door and use whats left over to amplify your decor. Move any furniture to the perimeter of the room. Your might even consider covering sofas and chairs with green, purple and gold fabric. Ask guest to come dressed in their most gaudy and lavish outfit. The more color the better. Anything goes here – sparkles, boas, jewelry, hats you name it! The louder the better. Masks are famous Mardi Gras accessories. Either give masks to your guests as party favors or ask each person come with one on. You could even hand out an award for the guest with the most creative mask. Classic costume ideas include: jesters, kings, queens. Keep your menu as simple as possible. The key to this party is the decor and dress. This menu is best served buffet style. If space is an issue check out this earlier post to easily create and instant buffet. Forget small apps and hors d’oeuvres with all the drinking hearty food is best! You cannot have a proper Mardi Gras party without a King Cake. Tradition says that each cake must have a small baby or “trinket” hidden inside. 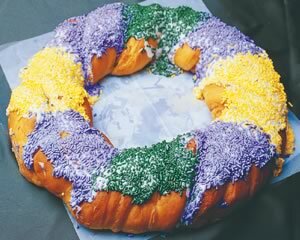 If you get the baby in your slice, you must provide the King Cake for the next Mardi Gras party. As with most things New Orleans, Emeril is the expert. 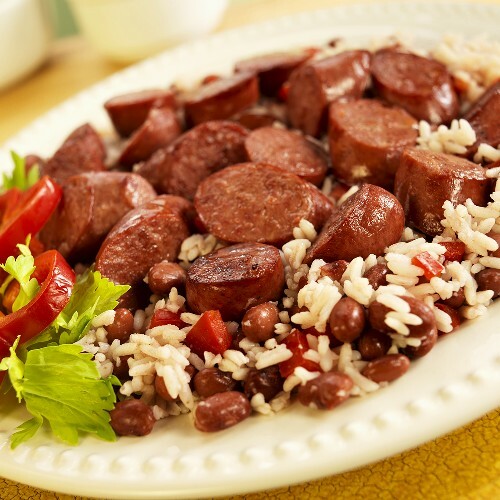 This recipe is from his television show Emeril Live on the Food Network. Combine the yeast, sugar, butter, and egg yolks in the bowl of an electric mixer fitted with a dough hook. Add the milk. With the mixer on low-speed, beat the mixture for about 4 minutes to dissolve the yeast. If the yeast mixture doesn’t begin to foam after a few minutes, it means it’s not active and will have to be replaced. In a separate large mixing bowl, combine the flour, salt, nutmeg, and lemon zest. Add this mixture to the yeast mixture. Mix on low-speed until it lightly comes together, then increase the speed to medium and beat until the mixture pulls away from the sides of the bowl, forms a ball, and climbs slightly up the dough hook. Remove the dough from the bowl. Coat the dough with vegetable oil. Return the dough to the bowl and turn it to oil all sides. Cover the bowl with plastic, set in a warm, draft-free place, and let rise until doubled in size, about 2 hours. Meanwhile, in a small bowl, combine the cream cheese and 1/2 cup powdered sugar. Mix well. In another small bowl, combine the remaining powdered sugar, lemon juice and milk. Mix well and set aside. Turn the dough out on a floured surface. Roll the dough out 30 inches long and 6 inches in diameter. Spread the cream cheese filling across the center of the dough. Bring the two long edges together and seal all sides completely. Using your hands shape the dough into a long cylinder and place on a greased baking sheet, seam side down. Shape the dough into a ring. Place a well-greased 2 pound coffee can or shortening can in the center of the ring to support the shape during baking. Press the plastic baby toy into the ring from the bottom so that it is completely hidden by the dough. Cover the ring with a towel and place in a warm, draft free place. Let the dough rise for about 45 minutes or until the dough doubles in size. With a sharp knife, make several slits around the top of the ring. Place in the oven and bake for 30 minutes, or until golden brown. After baking remove the coffee can immediately. Allow the cake to cool. Drizzle the cake with the sugar glaze. Sprinkle the cake with sprinkles, alternating colors. Cut the cake into pieces and serve. Hurricane’s are classic New Orleans Mardi Gras cocktails. They might look tame with their inviting pink hue, but be warned they will knock you down just like a real hurricane! Make these in large batches and serve guests out of a pitcher. It will save on time and space! Combine all ingredients and mix well. 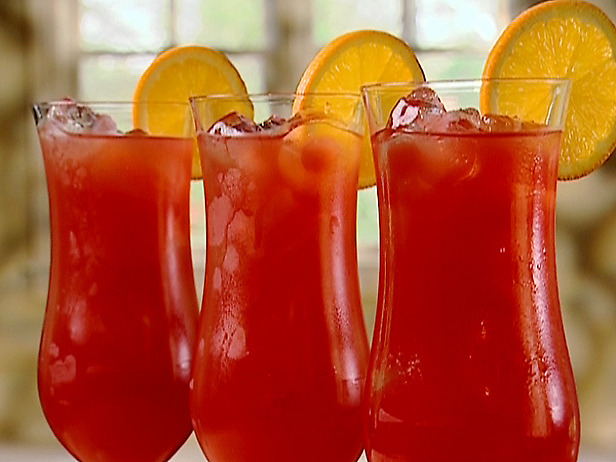 Serve in large glasses over crushed ice with an orange slice as garnish.